Genuine Dyson DC25 change over valve spring for all Dyson DC25 vacuum cleaners. 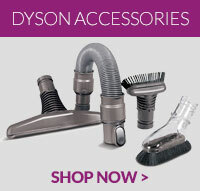 ..
Genuine replacement cleaner head to fit select models of Dyson DC25 vacuum cleaners .. This bin catch is a genuine spare part to fit Dyson DC25 vacuum cleaners .. This part is compatible with a wide range of selected models. To ensure it is the correct product fo..